Meltman, Popsy, paradox and 4 others like this. Stateside has extra large outside diameter valve guides. Get the largest O.D guide that he sells and get a machine shop near you to machine down the new guide to a slightly larger size than the guide hole in the head and press it in. The head guide hole needs to be measured after the head has been heated up. This measurement plus 2 -3 thou is the measurement that the O.D of the new guide needs to be. UNLESS the guide hole in the head is out of round/worn due to the old guide rattling around in the head. I'd replace all 4 guides and re cut the seats on both heads and fit new exhaust valves while its apart. paradox and 1973daisey like this. Popsy and 1973daisey like this. 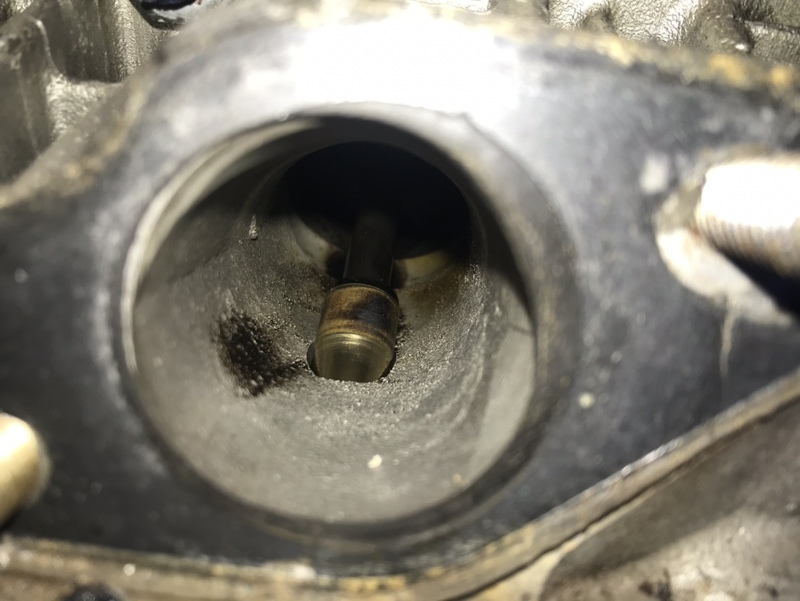 Check the length of the exhaust studs, as they corrode and get shorter, then when its time to refit the heat exchangers there is no thread to put the nuts on. Popsy, Lasty and Ermintrude like this. Kruger, Popsy, Razzyh and 1 other person like this. Chuck the stainless ones in the bin. They encourage mild steel nuts to corrode (electrolysis) and if you use stainless nuts they can cold weld and either jam on the way on or never come off again. nicktuft, 1973daisey and snotty like this. if you use stainless nuts they can cold weld and either jam on the way on or never come off again. ^this. Steel studs, brass nuts. <edit" studs!> SS has a habit of welding itself on. 1973daisey and Lasty like this. ^this. Steel nuts, brass nuts. 1973daisey and snotty like this. Never really understood why VW didn't use them. Standard fitting on old Fords.